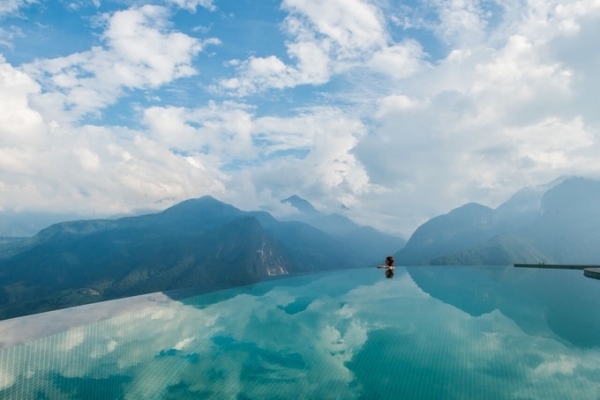 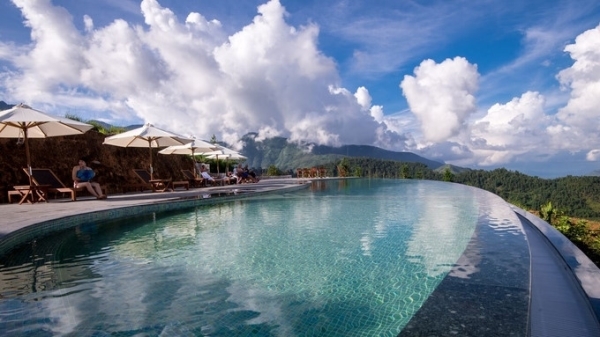 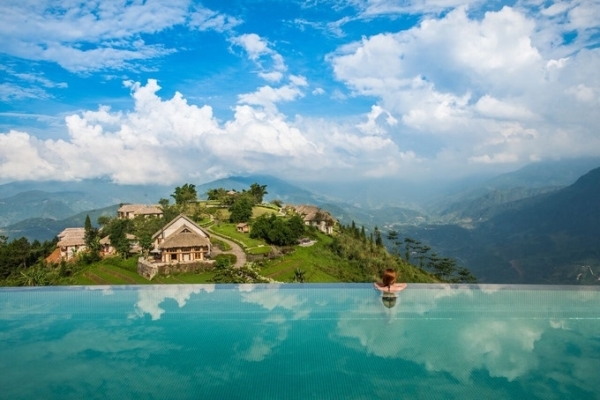 Situated at Topas Ecolodge resort in Sapa, which National Geographic lists among ‘21 places to stay if you care about the planet’, the swimming pool with a view to Hoang Lien Son mountains lies on the highest altitude in Vietnam. 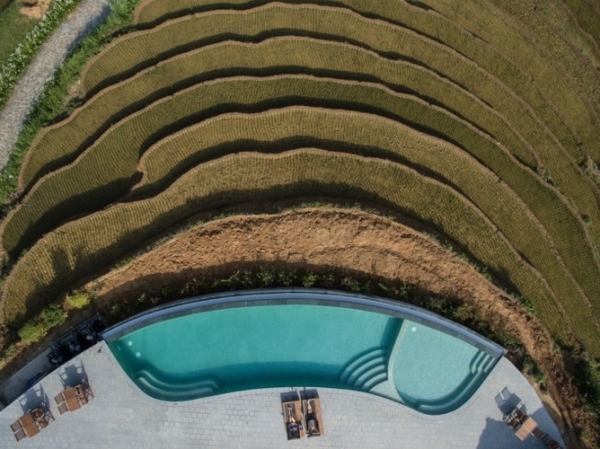 The swimming pool is built on the hill side on an area of 95sq.m. 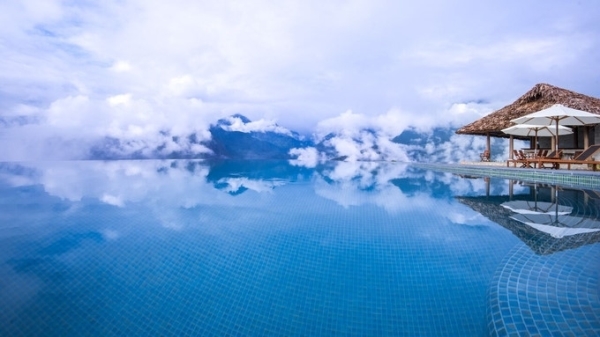 From the swimming pool, visitors can look far away from a sea of clouds and mountains and watch the entire Muong Hoa valley with terraced fields as well as simple houses of ethnic minorities.